I thought it would be fun if I took a moment each month to let you know what things are currently striking my fancy, so here goes the January installment! It’s a little bit late– the end of the month came faster than I was expecting! Book: I’m still loving (and plugging along slowly in) my big hardcover copy of The Complete Sherlock Holmes by Sir Arthur Conan Doyle. It’s so good but so long!. 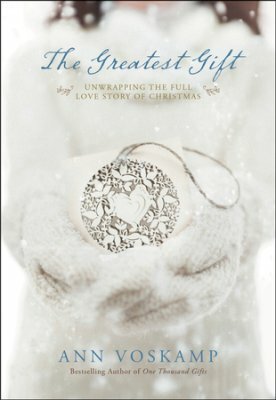 I also just finished Ann Voskamp’s The Greatest Gift: An Advent Devotional. I checked it out from my local library in ebook form. Unfortunately, it wasn’t available during Advent, which is when it’s intended to be read. It still was a really good read. I liked how it incorporated Scriptures that I don’t generally associate with the Christmas story and had a lot of application material and questions. Verse: “You intended to harm me, but God intended it all for good. He brought me to this position so I could save the lives of many people.” -Genesis 50:20 and “If you keep quiet at a time like this, deliverance and relief for the Jews will arise from some other place, but you and your relatives will die. Who knows if perhaps you were made queen for just such a time as this?” – Esther 4:14. There is purpose behind everything that happens. I need that reminder. Food: My parents got me a spiralizer for Christmas, so I’ve been playing around with making noodles out of vegetables lately. 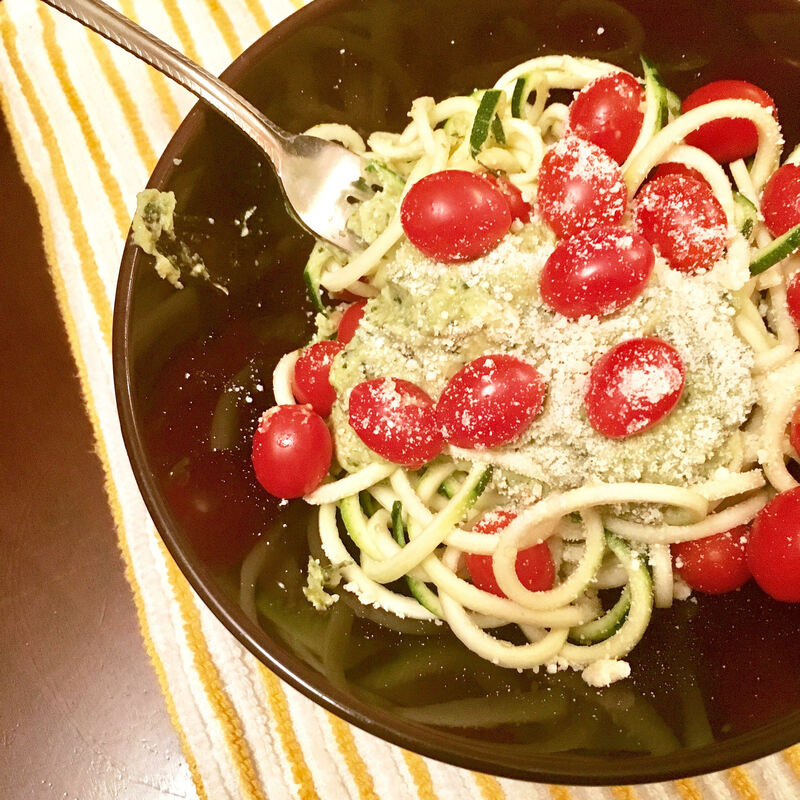 One of my favorites was Ambitious Kitchen’s avocado basil pesto zucchini noodles. They were delicious! I also made a taco lentil soup from AK that was amazing, and the fact that it made several servings was a great bonus! Song: I’m really loving Beloved by Jordan Feliz. I wrote more about a few songs that have been touching my heart lately in a separate post that you can read here. Show: I’ve been watching a lot of things on Netflix lately, and they’ve all been great! I finished watching what’s available of Bones, and can’t wait to get caught up on the last season that was on TV. 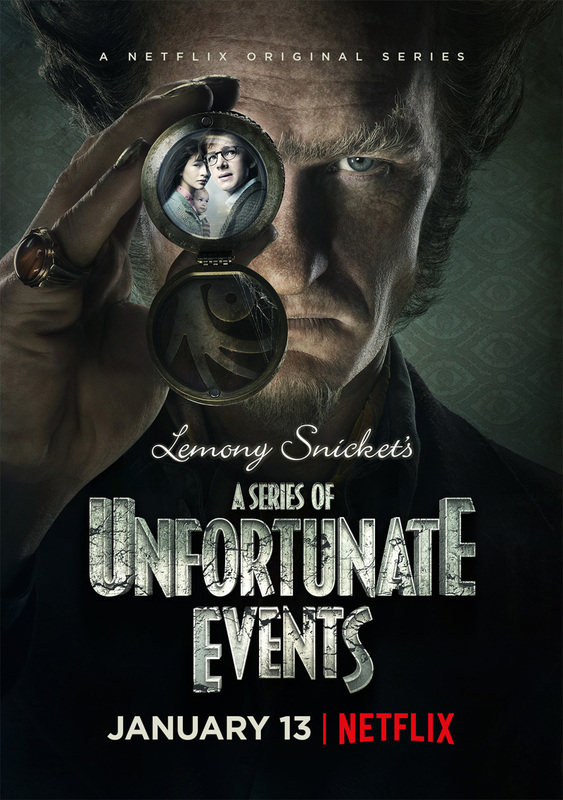 I watched all of A Series of Unfortunate Events and LOVED it! I never got into the books, but the 8-episode series was really entertaining. I also watched One Day At a Time and thought it was both funny and poignant. Memories from this month: My dad, my sister, and I went to a Phil Wickham concert at the Mall of America on a Friday night this month, and we had a great time together! I also had a crafternoon get-together with a few of my college roommates, and it was a blast! We made crafty things and chatted the whole while, and we’ve made plans to get together again to craft even more. Looking forward to this month: I’m looking forward to The Her Initiative’s Fit for Her event in Minneapolis in a few weeks. I follow Nourish Move Love and Fit Foodie Finds, who are hosting the event, and I think it’s going to be a lot of fun! I invited some friends to go with me and already bought my ticket. There’s going to be a workout, snacks, and products that support local female-run businesses. Check it out!